Nearly two years after leaving office, Barack Obama could not hold back his irritation that Trump has rightfully received credit for the roaring economy. Notice all the times Obama referred to himself during his speech. In fact, he referred to himself 102 times in a 64-minute speech. “During his time in office, the economy has achieved feats most experts thought impossible. GDP is growing at a 3 percent-plus rate. The unemployment rate is near a 50-year low. Meanwhile, the stock market has jumped 27 percent amid a surge in corporate profits. In an article on FedUp.com attacked Obama coming out now saying “You’re coming out of hiding now because the smell of fear is so pungent that you could no longer stay holed up in your DC bunker with your dark, former advisor, Valerie Jarrett. You needed to get out and reinvigorate your angry minions. You needed to get out and remind Americans that your race war isn’t over yet, and tell them that despite the fact that the Democrat Party has been humiliated by the historic economic successes of President Trump, that you’re still here, and together, with your crooked former Attorney General Eric Holder and your crooked former secretary of state, Hillary Clinton, you will do everything to fight our President and his promise to “Make America Great Again”. Your presence in Chicago today reminds your base that you’re still using racial hatred and division as a way to agitate and scare minority voters into going the polls in 2018. You’re presence reminds your base that you’re still fighting behind the scenes to force your agenda, as you work with dirty politicians like former Governor Terry McAullife to give felons the right to vote, to find ways to bring massive groups of illegal immigrants into our voting booths, and to achieve the most difficult task of all… finding a way in the most impressive economy in decades, to make Americans see the need to rely on the government for help. Most importantly, however, is that your presence today, reminds Americans of why we all voted for President Trump in the first place. President Trump responded to Obama’s divisive and critical speech in the best way possible, with a joke. He told the crowd at his Montana rally that he “fell asleep” during Obama’s speech. Trump also mocked Barack Obama for attempting to take credit for Trump’s amazing economy. 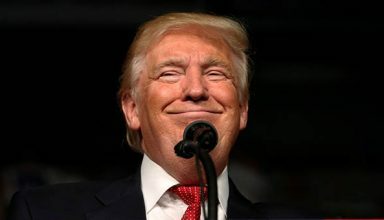 Trump reminded the crowd of his supporters, that the truth of the matter is, while President Obama was in office he presided over the weakest economic recovery this nation has ever had. Barack Obama, the first President in US history to not attain 3% GDP growth even though he had eight years to do it. A President who spent so much he slowed any growth he was generating. The national debt grew from 11.5 trillion to 20 Trillion under Obama, as did the Misery Index by 53%. Now under Trump’s leadership, there is a surge in company profits and near-record levels of optimism from consumers and businesses. Wall Street investors acknowledge that the current numbers are a uniquely Trumpian achievement and not owed to policies already set in motion when he took office. Business confidence is soaring, in part thanks to a softer regulatory environment. Consumer sentiment by one measure is at its highest level in 18 years. Corporate profits, owed in good part to last year’s tax cuts, are coming close to setting records. At a time when most economists had been using the term “full employment” to describe the economy, 3.9 million more Americans have joined the ranks of the working during the Trump term. During the same period under former President Barack Obama, employment had fallen by 2.6 million. 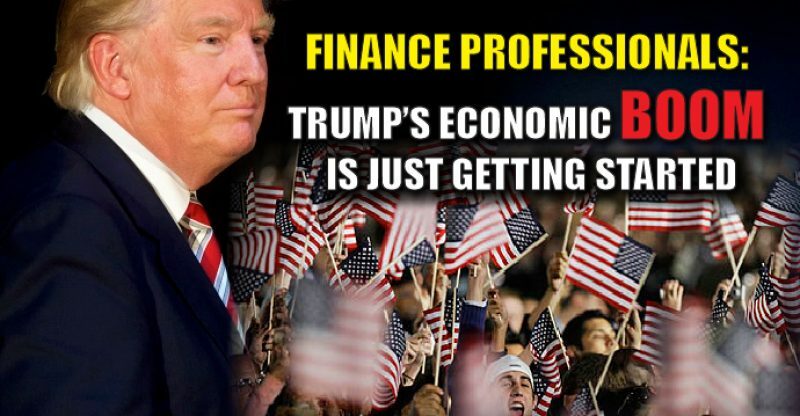 The economy in total, while still not in breakout mode, has grown by $1.4 trillion through the second quarter under Trump; the same time period for Obama saw a gain of just $481 billion, or a third of Trump’s total. Businesses are investing, consumers are spending and innovation is on the rise as well. Construction workers wages are up, black and Hispanic unemployment are at record lows, 120 utility companies have lowered their rates due to the tax cuts. But we are all supposed to believe that the current roaring economy is due to Obama’s economic recovery strategy. Not President Trump’s corporate tax cuts or the reopening of factories humming the tune made in America again. Give me a break!! !